I have always been interested in art and, in particular, painting. I was very lucky growing up to have wonderful teachers, very innovative and progressive. Mrs Zeiker, whose husband designed stain glass windows for churches, and priests garments would have us painting to music. With Mother Marcella we would go on walks around the grounds of Genazzano with sketch pad in hand, checking out the beautiful purple shades thrown by the shadows in Cyprus Walk. When my children were at kindergarten I took up oil painting, tutored by Ron Reynolds and Marion Bruere. My first masterpiece was a painting of Beethoven’s death mask (I’m surprised I didn’t call it quits after that). Ron would have a box of black and white photographs for us to select our subject matter from; resulting in an exciting night of tonal painting. The Sunday morning field trips to places like Pound Bend (in the middle of winter); Warrandyte were fun. I took watercolour lessons from Julie Ford at Mitcham Art Society, where I became Treasurer and Secretary for several years prior to moving to Kilmore in 2001. I had 2 years of watercolour lessons from David K Taylor, and have attended workshops and been tutored by Alvaro Castagnet, Amanda Hyatt, John Orlando Birt and Joseph Zbukvic to name a few. I would enjoy visits to Harold Freeman’s studio in Brunswick watching the mosaic murals taking shape and casting an eye over David Jack and Joe Attard’s oil landscapes, when the late Harold Freeman was State Artist. I joined Seymour Art Society after moving to Kilmore, where I was public officer, secretary and promotional co-ordinator for a few years. We are fortunate to have the Information Centre as neighbours sharing the historic old courthouse with us, and the volunteers there do a great job handling our sales. The Courthouse is open to the public 7 days a week. These days I mainly paint in watercolour or acrylic, and occasionally have a dabble in pastel. Though recently have rekindled the love of using oils, and have experimented with silk painting. I did a workshop using encaustic was and am eager to experiment further using this medium. 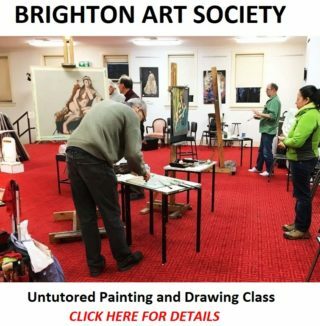 Tutors include; Ron Reynolds, Marion Bruere, David K Taylor and Julie Ford at the Mitcham Art Society. Margaret has also attended workshops tutored by Alvaro Castagnet, Amanda Hyatt, John Orlando Birt and Joseph Zbukvic, to name a few. I am a member of the Kilmore Art Society and the Woodend Art Group. In recent years I have had solo exhibitions at the MAD Gallery in Lancefield, Gillmay Arts in Romsey and the Heathcote Winery Gallery. I have displayed work at the Old Railway Station Native Nursery and Carriage Café in Lancefield. I currently have work on display at Glen Erin Winery in Lancefield as well as the Old Courthouse in Seymour, Araminta’s is Seymour, The Kilmore Courthouse and Nicole Milners Framing in Broadford, the Kilmore Medical Centre, the Kilmore Hospital I also exhibit at Woodend Art Group’s gallery, part of the Woodend Railway Station complex and have paintings hanging in Holgates in Woodend as part of the Woodend Art Walk and have paintings on display at MAD in Lancefield as part John Nightingale’s Christmas exhibition. It is a pleasure to be hung at The Art Makers Mill, our newest gallery in Kilmore and at The Council Chambers Gallery in Broadford as part of the Makers of Mitchell exhibition; Helen Miles and I had 50 paintings hanging in the Chambers September and October. May, June and July this year I had paintings hanging in the prestigious Old Post Office Gallery in Seymour owned and operated by Louise Barling and Garry Broderick. I also exhibit with the Mitcham Art Society and around the local shopping centres. Paintings have been sold at the Blackwood Gallery at the Meat Market Melbourne (when it was the State’s Craft Centre); Custom Wharf Gallery, Williamstown; Spectrum Gallery, North Balwyn; Beryl’s Gallery, Bundoora; the Claudia Louise Gallery, Ivanhoe; The Stockyard Gallery, Foster; Makers-on-Mair, Ballarat as well as the local art shows – St Theresa's Essendon; Our Lady of the Sacred Heart Bentleigh; St Edwards Blackburn South; Parade College Bundoora; Loyola Bundoora to name a few. Rotary Art Shows always being popular, with of course, Camberwell Rotary being a favourite. I am part of Artists’ Open Studios in Mitchell, taking place 14/15 and 21/22 November along with 7 other artists. The Melbourne Cup Weekend I am entering The Redesdale Art Show and Woodend Art Group has its annual judged show which attracts many visitors to the Macedon Ranges area. I am also exhibiting at the Artmakers Mill, Sydney Street, Kilmore from 14th November to the 14th December, 2016. I have a joint exhibition opening the end of January for 4 weeks at MAD in Lancefield to be followed by an exhibition at Armstead Estate Winery in Knowsley (both in Central Victoria). I have received awards judged by such noted artists as Carl Anderson, David K Taylor, Richard Chamerski and Kevin Boucher. 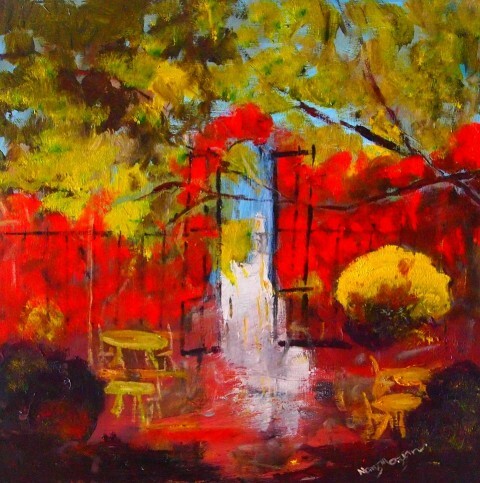 Many of my paintings have been purchased by interstate and overseas buyers. I have been commissioned to paint Australian landscapes in watercolour for hanging in Malaysia. I received an Honourable Mention for a silk painting at the 2013 Kilmore Art Expo, judged by Richard Chamerski, and another Honourable Mention at The Art Beyond the Divide Art Expo in Seymour judged by the Assistant Curator of the Benalla Art Gallery, Best Oil in Show, Broadford Art Show 2015 judged by Karolyn Mitchell; I received Best Oil and 2nd place Watercolour at a show in Seymour in October. My most recent award was a 'Highly Commended' for my oil painting, ‘Sunset’ exhibited at the Woodend Art Show in November. (Judged by Tim Jones).